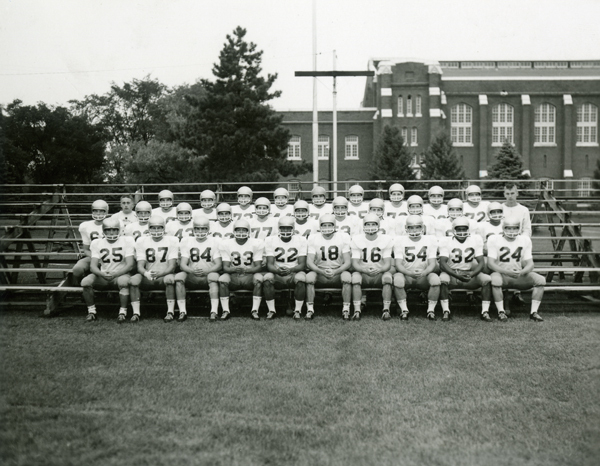 By the start of the 1959 season, the Iowa State Football Team was down to 30 members from its original 55. Although the team was lacking in number, they more than made up for it in perseverance and "hard-nosed" play. Led by Coach Clay Stapleton, the team had given Iowa State its best season in twenty years, with a record of 7-3. They tied with Oklahoma for the best record in the Big Eight Conference; they also tied for third place in the Big Eight in conference play. The team had a good chance that year at going to the Orange Bowl, but a 12-35 defeat from Oklahoma in the last game ended that possibility. They earned the name, "Dirty Thirty," after handily winning the first game of the season against Drake University. 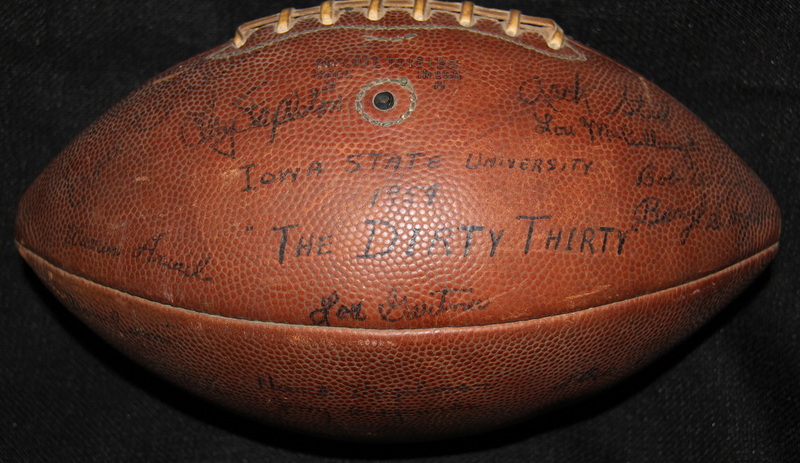 When the game ended, the team walked into the locker room covered in mud and the team's trainer, Warren Ariail, proclaimed, "Well, here comes the dirty thirty." 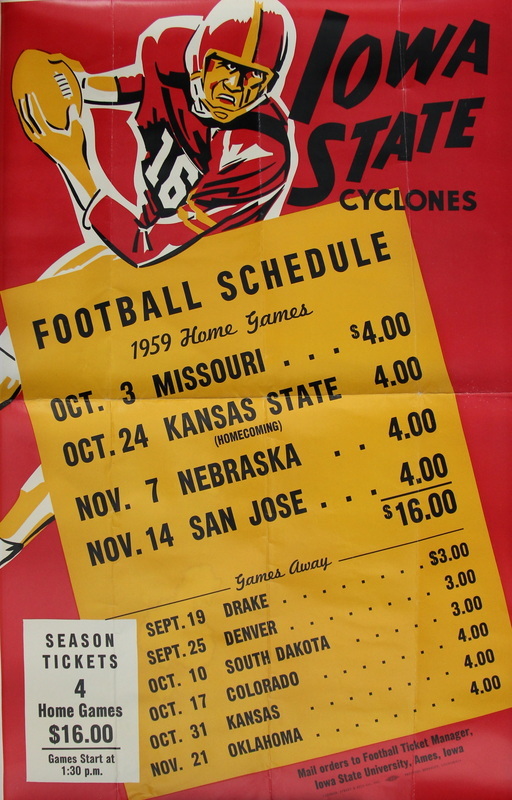 1959 also marked the change from Iowa State College to Iowa State University. 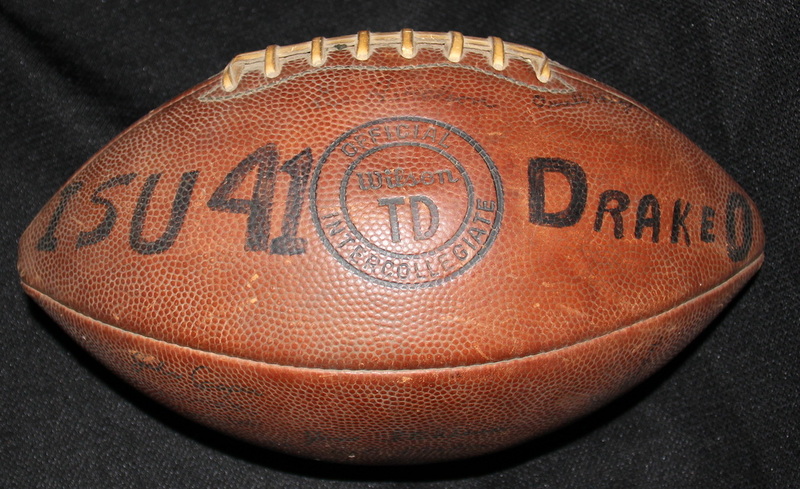 Game ball from THE GAME that gave the Dirty Thirty their name. 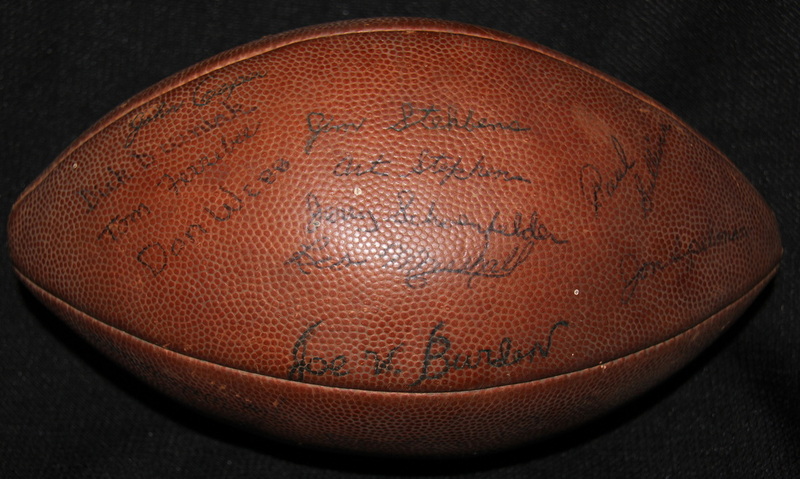 I consider this a true artifact of Iowa State Football. 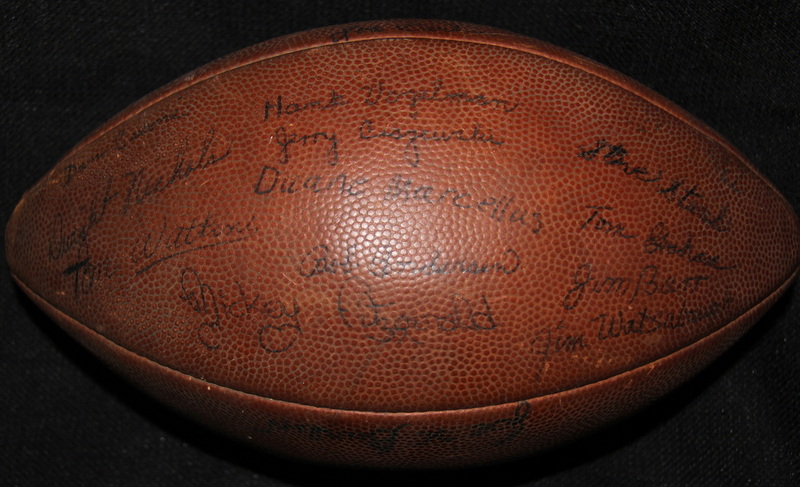 Signed by: Coach Clay Stapleton, Coach Lou McCullough, Coach Burnie Miller, Coach Ernie Zwahlen, Coach Arch Steel, Trainer Warren Ariail, Dwight Nichols, Tom Watkins, Mickey Fitzgerald, Dan Celoni, Hank Vogelman, Jerry Ciszewski, Duane Marcellus, Bob Anderson, Steve Sturek, Tom Graham, Jim Barr, Jim Watsabaugh, John Cooper, Don Webb, Tom Ferrebee, Jim Stehbens, Art Stephens, Jerry Schoenfelter, Leo Marshall, Joe Burden, Paul Sullivan, Jon Spelman, Lou Gartner, Alex Perez, Cliff Rick, Larry VanDerHeyden, ? McGinty, and Arden Esslinger. --Ball is from Ariail's personal collection.